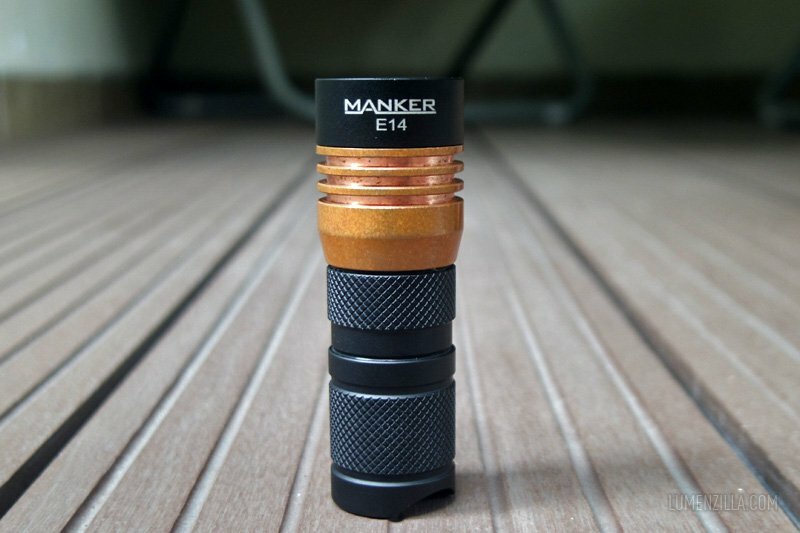 Manker E14 is an EDC flashlight powered by a single 16340/(R)CR123/18350 battery with maximum output of 1600 lumens on CREE emitter and 1400 lumens on Nichia. 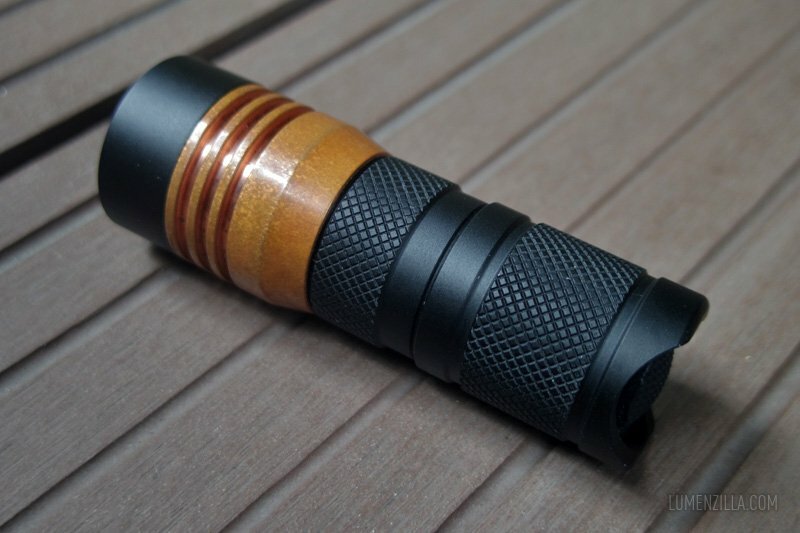 It has quad LED emitters with TIR optic and copper head that give it a distinctive look. 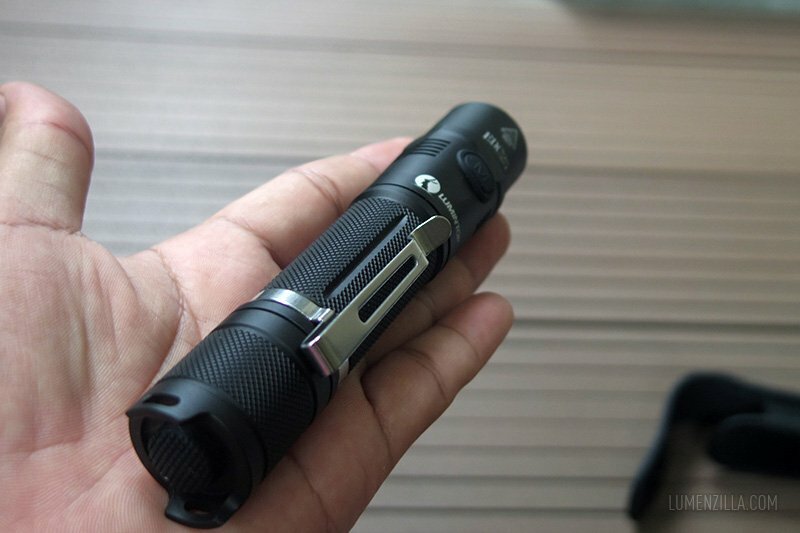 I receive a sample of Manker E14 from Gearbest for review purpose and have been using it intensively for about 2-3 weeks. 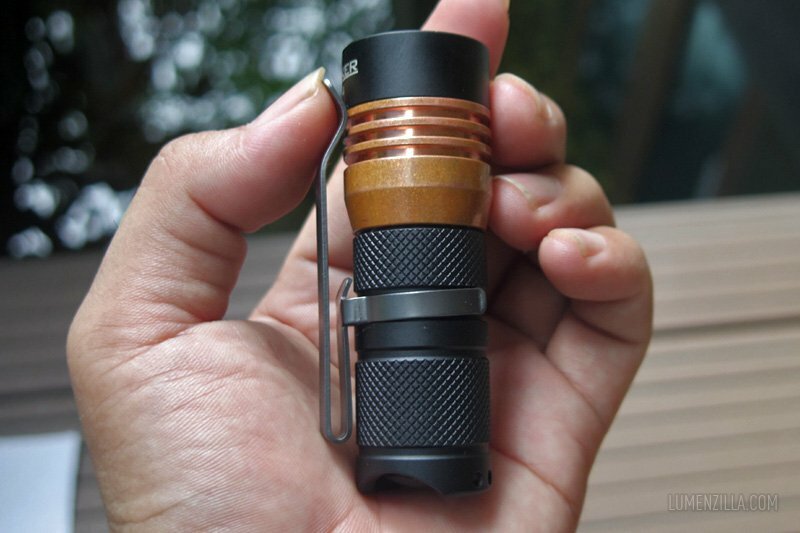 It’s the Nichia version and I can tell you how much I like its tint color. 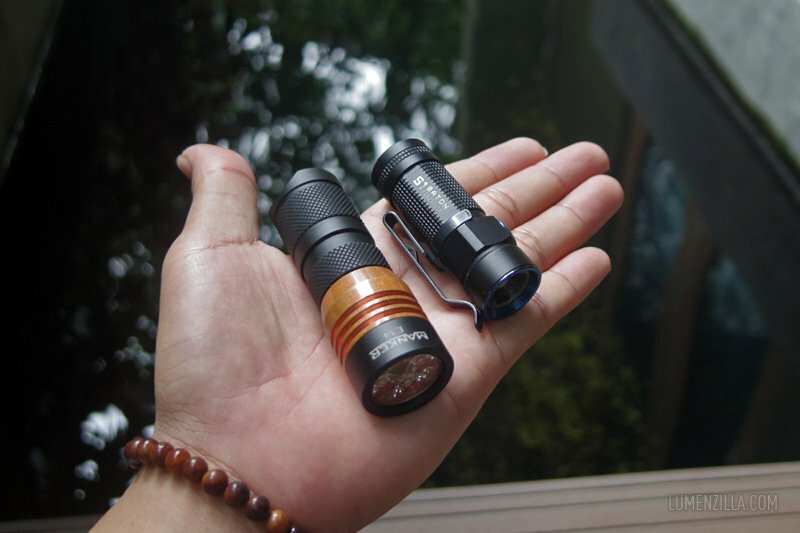 Small functional flashlight with detachable two-way clip, fits in your pocket. 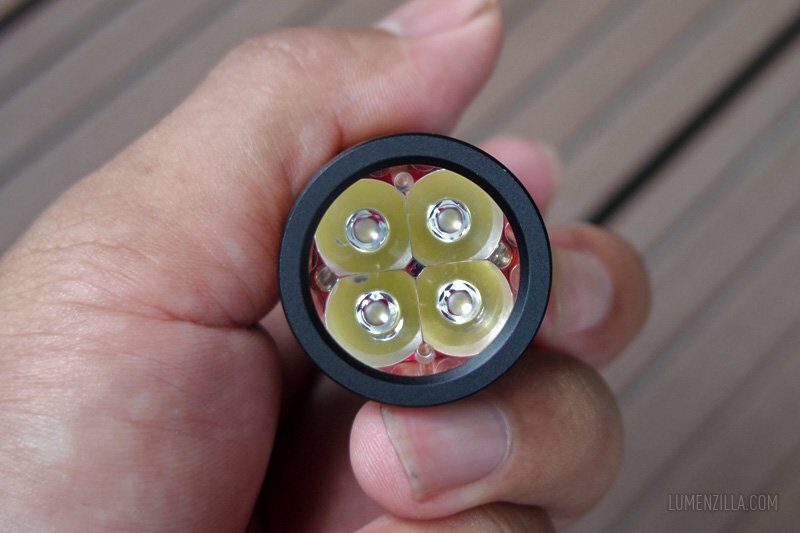 Utilizes four LEDs of CREE XP-G2 (6500K) or Nichia 219B (5000K). 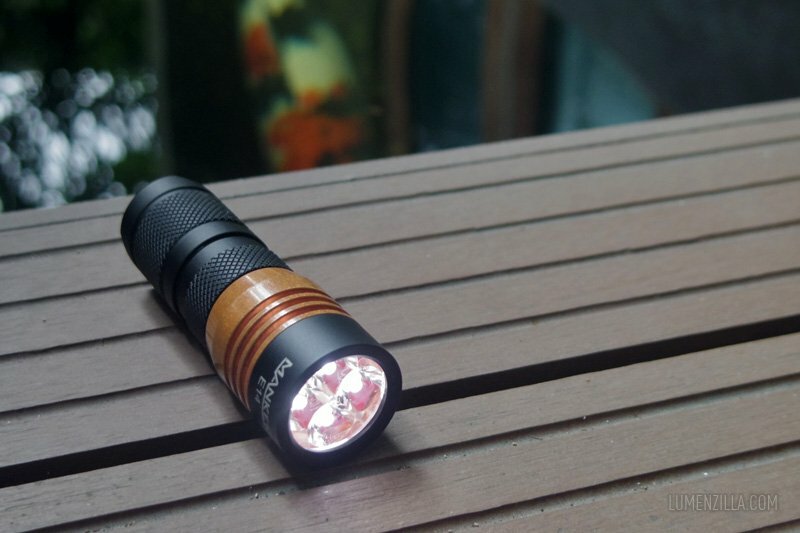 Maximum output is 1600 lumens for CREE and 1400 lumens for Nichia. 2 groups output modes, user toggleable mode memory and mode groups. 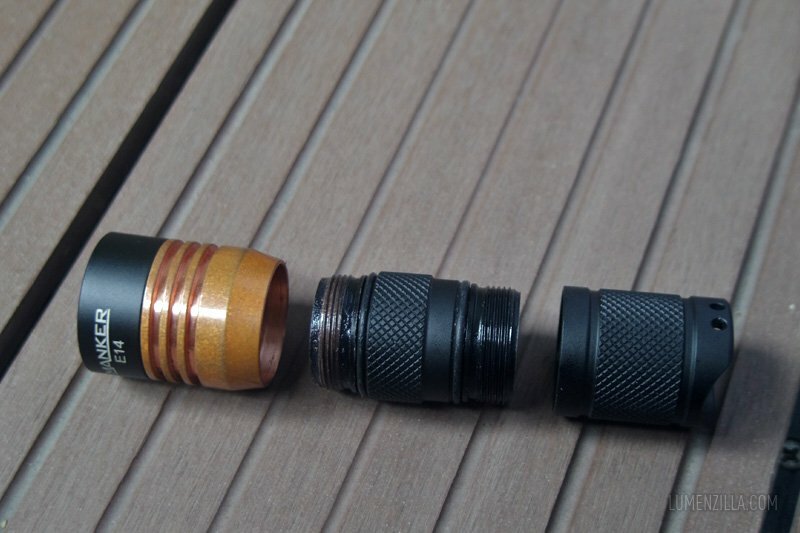 Copper head for better heat dissipation and strong aluminum body. Compatible with 1 x 18350/16340/CR123A/RCR123 battery (not included). 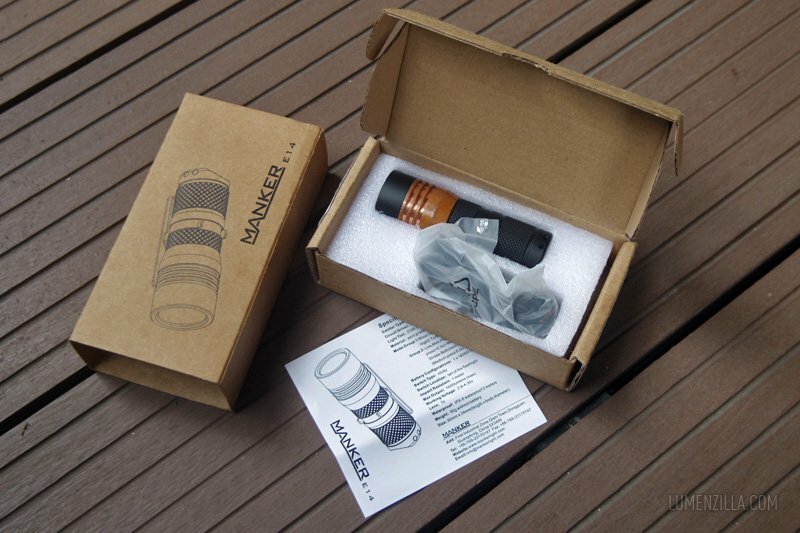 18650 tube is also available separately. The content of the package is quite complete. I got a flashlight (of course), a reversible pocket clip, lanyard, spare o-ring, spare rubber boot switch, and two sheet of papers (feature list and operation instruction). The head was a shinny copper out of the box. I took this picture after one week usage and you can see that patina started to develop on its copper head. The original copper color is identical with the color of the fin’s groove. The body is made from thick aluminum and the diamond knurling is comfortable to grip. The rubber tailcap look strong and I think will last for couple of years. Unfortunately, the threads on head aren’t greased at all. 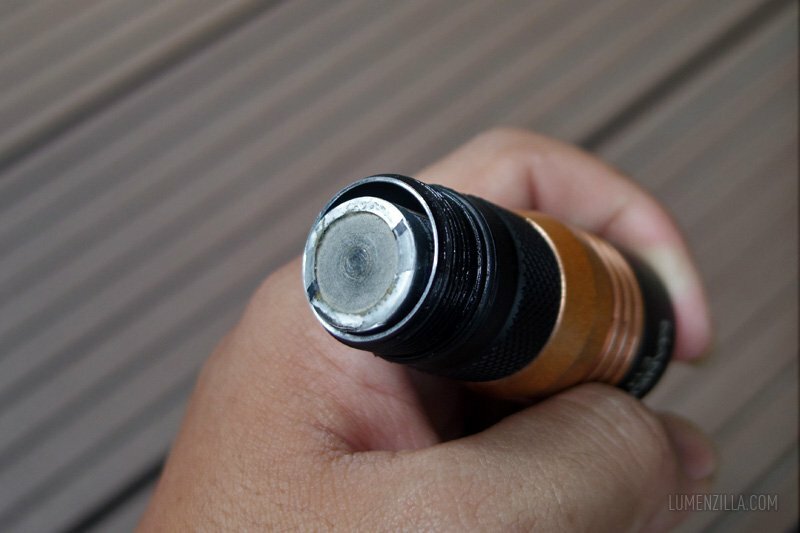 I applied some Xeno grease to all the threads before using this flashlight. Later, I found some reddish “powder” mixed with the grease on thread. I guess the manufacturer didn’t clean the copper properly and residues are left behind. And here’s the charm, four Nichia LEDs with TIR optic. Georgeus! 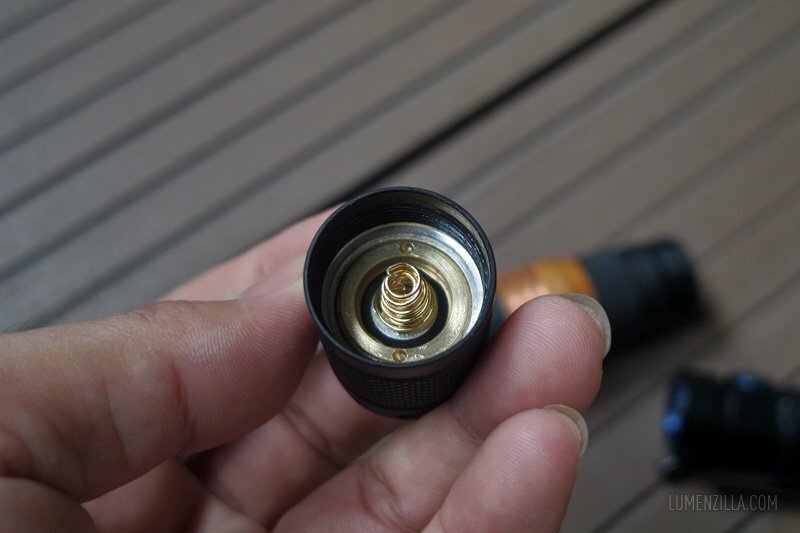 The contacts are made from gold plated metal to ensure better electric conduction. The springs aren’t by-passed out of the box like Convoy L6, so I will by-pass them later to get more output. I opened the switch and found pilotdog68‘s circuit is inserted there. With a little soldering skill, we can hack the rubber switch into a illuminated tail cap. 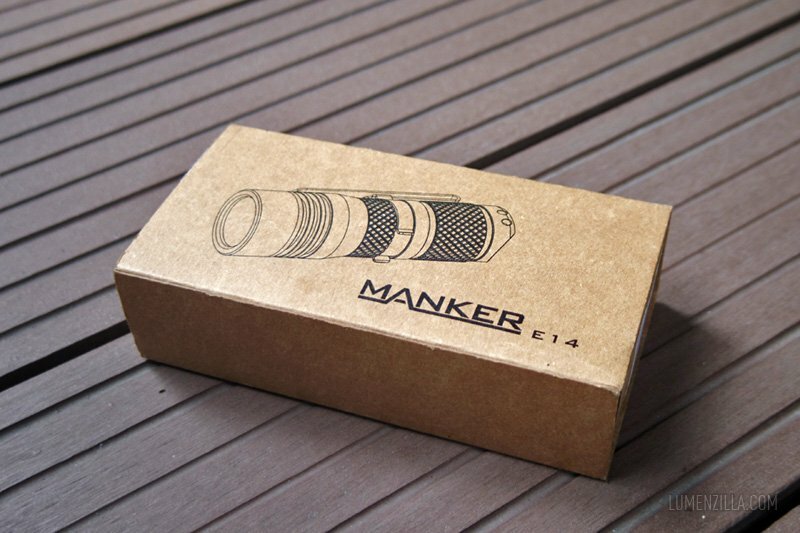 As I mentioned earlier, Manker E14 is compatible with several battery size. I inserted a 16340 battery and you can see the gap here. 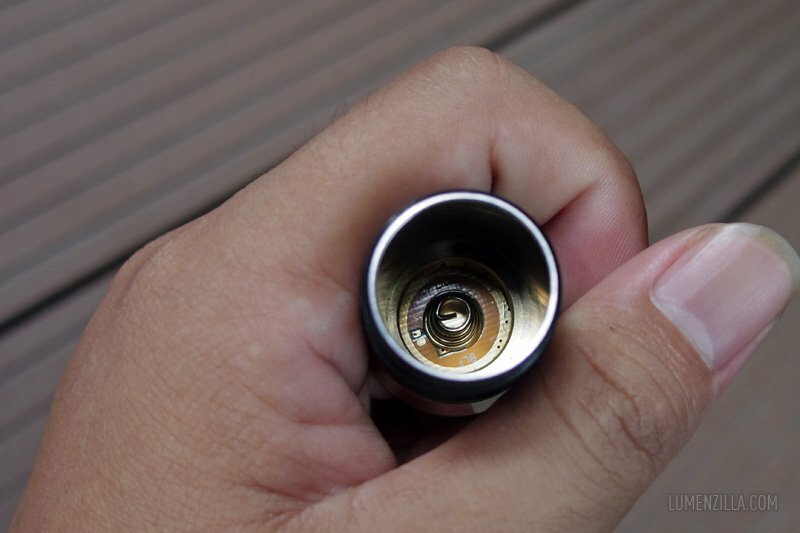 But thanks to both springs on head and tailcap, the battery is kept steady inside the tube. No rattling. 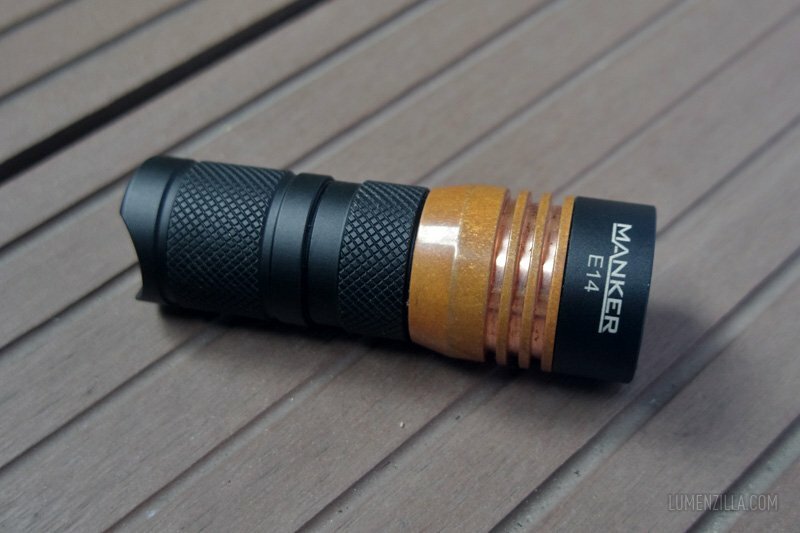 Operating Manker E14 is a bit tricky at first. There’s a short press and medium press, it took some time to understand what is short press and what is medium press. 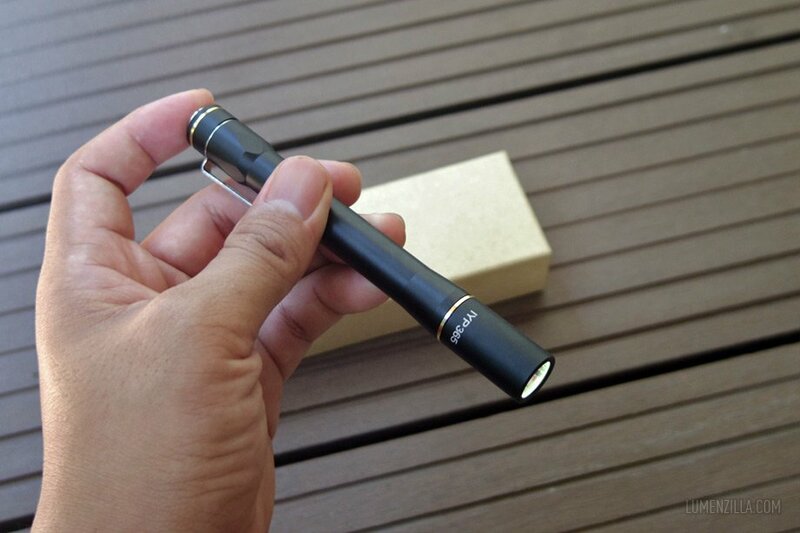 It’s recommended to use Manker E14 with IMR battery to get its best performance. I was unable to take beamshot pictures because the lack of IMR batteries. Using non IMR battery, I can barely see the difference between mid1 and mid2, as well as high1 and high2 on first group mode. I will update this post with beamshot pictures after I received my IMR batteries within few days. 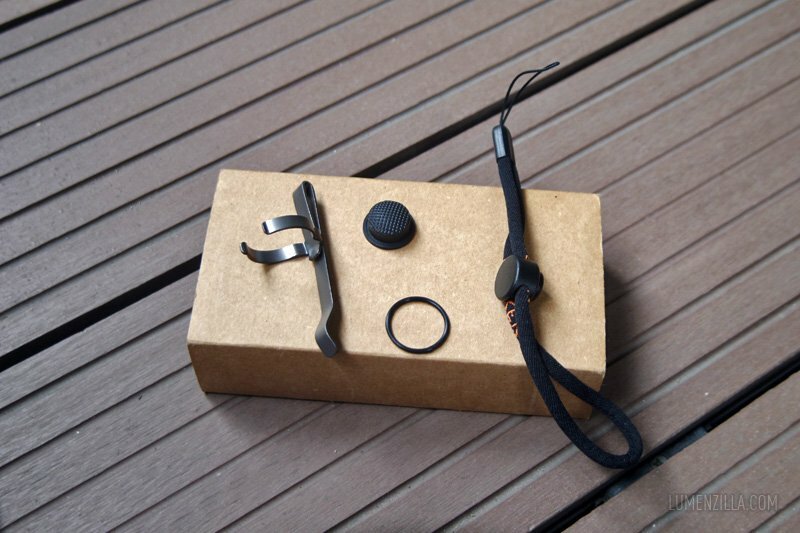 After a couple of weeks using Manker E14, I decided to use group mode two with memory off. You can read how to change group mode and how to enable/disable memory mode at the end of this article. 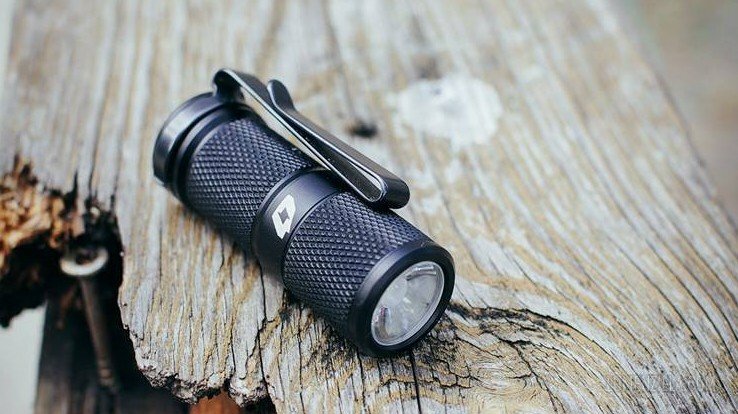 The dimension of Manker E14 is somehow ideal for EDC flashlight. It’s a bit heavy but still acceptable. 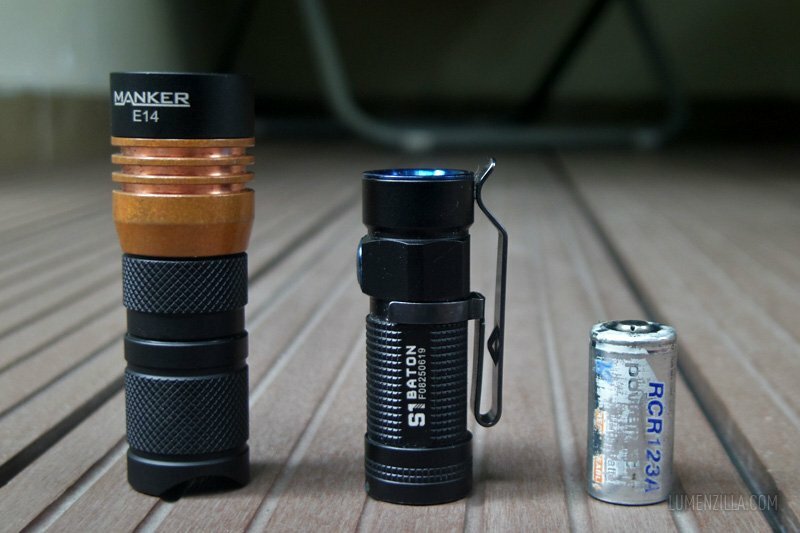 Here’s side by side picture with Olight S1 Baton and a RCR123 battery. They’re my current EDC setup nowadays. Unfortunately, the clip is a disappoinment. I tried to put the clip but it didn’t work well. 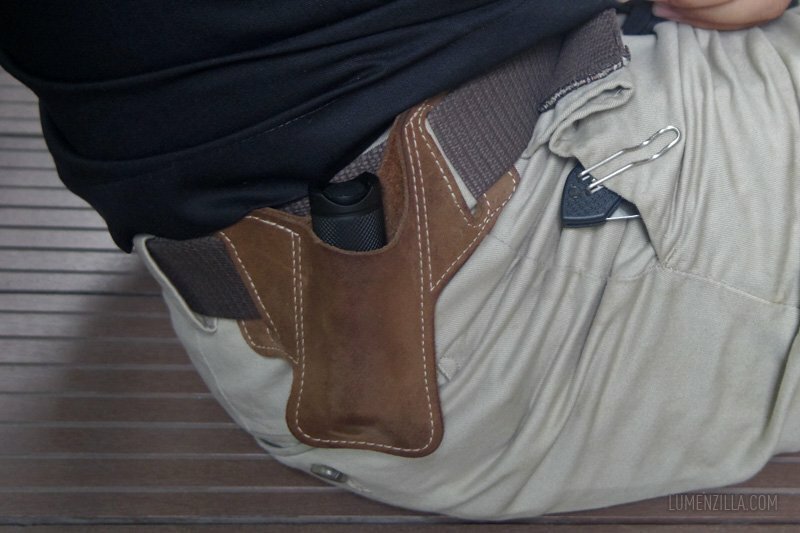 So I carry Manker E14 inside a custom leather holster as you can see on following picture. As mentioned before, I will end this article with a mini tutorial on how to switch group mode and disable/enable memory mode. Tap the tailswitch for 18 times until the LED is flashing. Turn off the flashlight in between second two blinks to enable/disable memory mode. I succeeded to change the group mode on second attempt, so don’t give up if you’re unable to do it on your first attempt.